Submitted Photo Dr. Charles Jarrett, has penned a short story describing a “life changing” event. 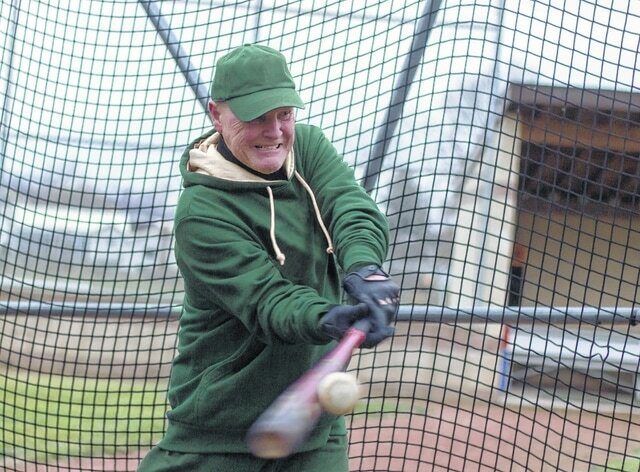 Dr. Charles Jarrett, Associate Professor of Sociology at Ohio University Southern in Ironton, Ohio, once had a dream of playing major league baseball as a teenager growing up in West Virginia. So much so, that he penned a short story describing a “life changing” event for his publisher Susan Kammeraad-Campbell, editor-in-chief of Joggling Board Press, Inc., based in Charleston, South Carolina. The story entitled “Clark Gable Smile,” was written for Storyboard, a national project that inspires individuals to tap into memory and write about the defining moments of their lives using innovative, unorthodox, and playful methods in standard workshop format. The best of the three-to-five minute personal narratives are read in authentic voice by the writer for National Public Radio (NPR) affiliates in Beaufort, South Carolina and at Kent State University in Kent, Ohio. Stories deemed worthy are digitally published through podcasts, on-line social media, and hard copy anthologies. “Clark Gable Smile,” was produced in the Electronic Media studio at Ohio University Southern, and released for broadcast in 2014, by Joggling Board Press. Charles and Susan believe few people have an entire book in them, but everyone has life stories – moments in their lives – that can be captured and shared one pearl at a time. “We believe that stories help us make sense of the world – tell us who we are and who we can be,” said Dr. Jarrett.